I want to than the author, Ednah Waters, for providing me an eARC copy of this book to read and give an honest review. Receiving this book for free has in no way influenced my opinion or review. I have to say that I was not exactly sure what to expect when I picked this book up. I had read the blurb a long time ago, so when I went to read it, I didn't remember what it might be about. I'm kind of happy that it wound up that way because I think it made for a more enjoyable read. I did know, however, that I absolutely loved the cover. It certainly had me intrigued! What are those marks on the guy's face? Why are they there? What significance do they hold? Do you want to know the answers? Well, then you just have to dive in. Raine (Lorraine Cooper) is a great character. She's a typical teen, attracted to hot guys, but in love with her long time best friend, Eirick. And he's definitely swoon worthy in a geeky, athletic type of way. I have to say that at first their relationship was a bit unbelievable. I mean, who waits until they are 17 to try it out with the hot guy who has been in their path forever? I guess the girl who thought that perhaps her best friend didn't think about her in that way? This is the one thing that irritated me about Raine. She was a bit wishy washy when it came to the guys. But what teen might not be like that? 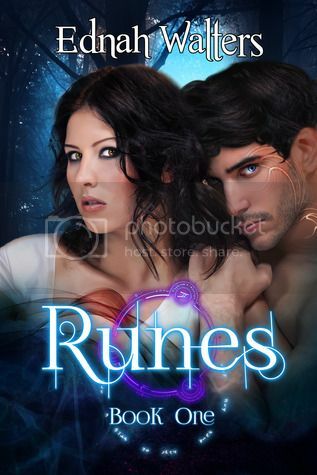 Torin St. James is the hot bad boy who slips and glides his way right into Raine's life. She finds herself attracted to him immediately; drawn to him by a force she cannot put her finger on. And he makes no qualms about his feelings for her. The tension between the two is palpable during the entire book. I can say that Walters created the typical YA love triangle. It wasn't anything different than I've seen in other books. As for her best friend Cora, she was just ok. I didn't find anything different about her so she didn't stand out in my mind. The book is fast paced and flows well. There wasn't a moment I didn't want to turn the page to find out what was next. There was enough action to keep it moving. Enough romance to make your toes curl. And enough mystery to keep you guessing. I really loved the way Walters wove the Norse mythology into the story. Normally such stories take a turn to the Greek, so it was nice to see a different approach to this type of paranormalcy. And Walters give the perfect amount of background so we're not left wondering what is going on or having to find out on our own. The story marries the paranormal with a bit of "out of this world". Lovers of The Mortal Instruments will be drawn in and intrigued for sure! But Walters takes a different turn with it (which I won't reveal as to not spoil things) making a new and different feel than other books in the urban fantasy genre. I enjoyed how Walters revealed things slowly through the book, just at the right time so that you didn't know more than you needed to and you were surprised at the right moments. There were some repetitions used in the language of the book. I think this could have been tweaked a bit. But over all it did not take away from me enjoying the book. And what is with books in this genre being set in the Pacific Northwest. This is actually the second YA book in two weeks I've read that has taken place in that part of the USA. Walters chooses to make the end a sort of cliffhanger that has you wanting the next book now. So I will certainly be jumping into the next one when it's available. I need to know what happens with these characters. It's an ending you will not see coming at all, although I have seen it used in a few books I have read as of late. Overall I really liked the story. It was a fast and fun read! 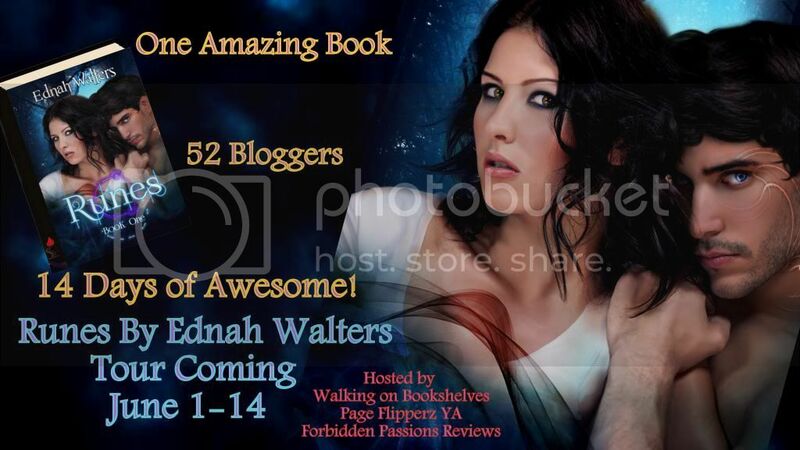 You can visit her online at www.ednahwalters.com or www.ebwalters.com,. She’s also on Facebook,twitter, ya-twitter, Google-plus, and RomanceBlog, YAblog. Oh now you made me want to read it even more!! !